Pierre: “Another terrific thing about the RopeTek toys is they go from outside play to indoor fun. You can clean them with a damp cloth if they get dirty. 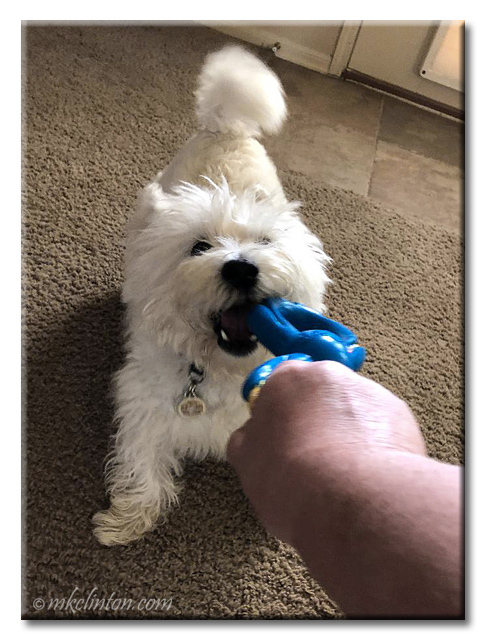 We have been fans of goDog toys for years. 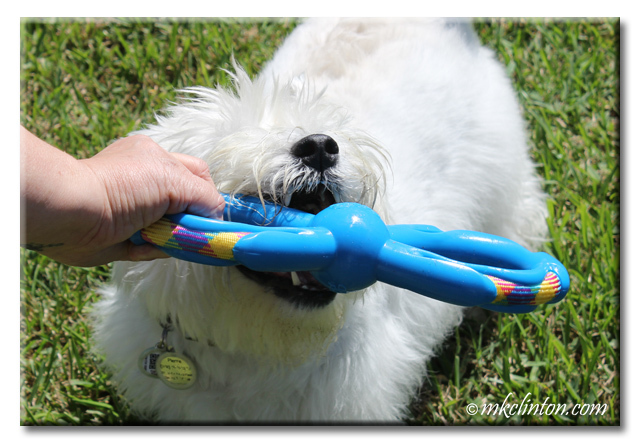 As a matter of fact, we still have our very first goDog toy and play with it all the time. The orange Furballz is still in good shape. We are sure these RopeTek toys will be around for years to come. We give them four paws up! Have you visited our Amazon Idea Page? I’d love for you to pop over and see what you think! What nice tug toys! We have 2 Furballz for Mackie when he visits and they are still intact too. Mackie loves his purple and chartreuse babies! We have some furry goDog toys we love. 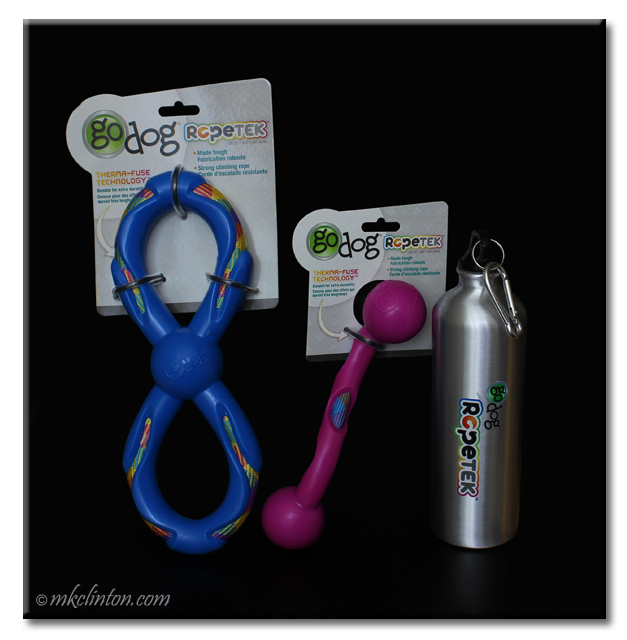 The more rubber ones are not really our favs, but we know lots of dogs love them too! Enjoy. Those are some pretty cool toys!! 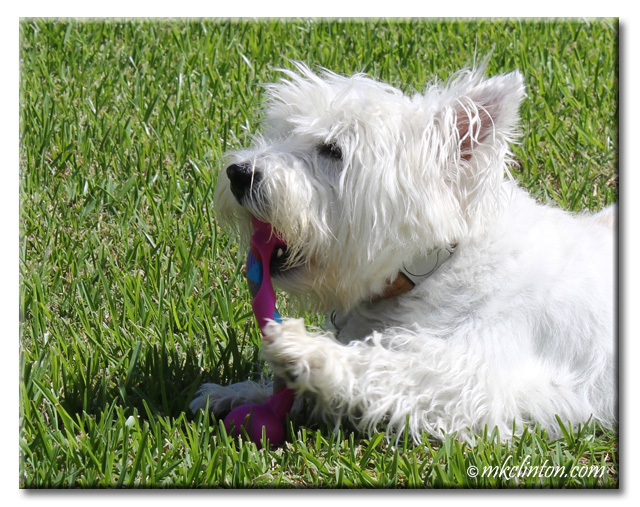 We can't have too many toys especially ones that fit our dainty mouths. I only have one relative with a dog right now; wonder if he'd like a toy like this? Pierre you are could/should be a toy tester and you should be paid in t-bones.!! You two were excellent toy testers. They look like really fun toys and easy for you to carry around. 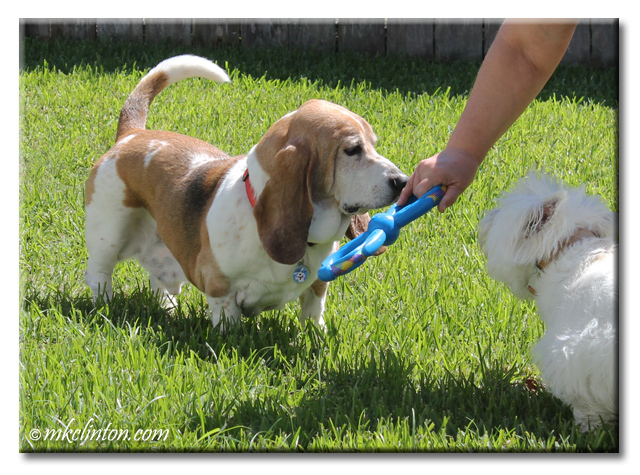 Pierre, we know you are the master of tug of war. Thanks for sharing your review of the products. Have a wonderful rest of your day. Those toys should keep both of you busy! The smaller one looks like fun to me! Oh boy. Do I see tug-o-war games in the near future?